Espanol Santillana Universidad de Salamanca, 9788493477219, 1198pp. Hispanics today make up 15% of the US population, with close to 45 million in numbers. Hispanic presence in public office is increasingly prominent, and specialists forecast an even more promising future for this growing minority: by the year 2050, Hispanics will have surpassed the 130 million mark, transforming the US into the largest Spanish-speaking country in the world. 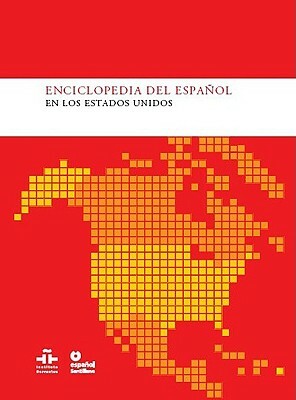 The Encyclopedia of Spanish in the US offers detailed analyses of the past, present, and future of Spanish and Hispanic culture in the US, highlighting the demolinguistic reality of the diverse Spanish-speaking groups living in the US. Attention is also drawn to the vast cultural wealth of the Hispanic community, which has driven artistic creations that today hold a preeminent position in the country's cultural landscape. Its 80+ specialized articles cover historical, demographic and legal aspects that, among others, provide information on the teaching, translating, editing, mass media, linguistic analyses, cultural activities, and literary production of this rising minority. This comprehensive outlook on the role that the Hispanic community plays in the US reveals the keys to understanding the present and promoting the future of our language and culture in this country. This never-before published outline includes over 170 photographs, and more than 190 maps, graphs and tables.